You’ve convinced the kids that you’re going to have a great day hiking, but then the reality of a long, hot day starts to sink in. 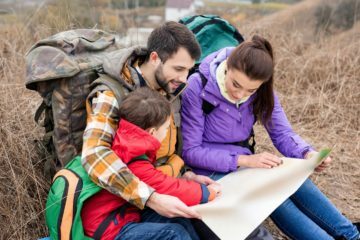 Having a selection of hiking games at your disposal is the perfect way of keeping the young ones both entertained and motivated, but where to start? 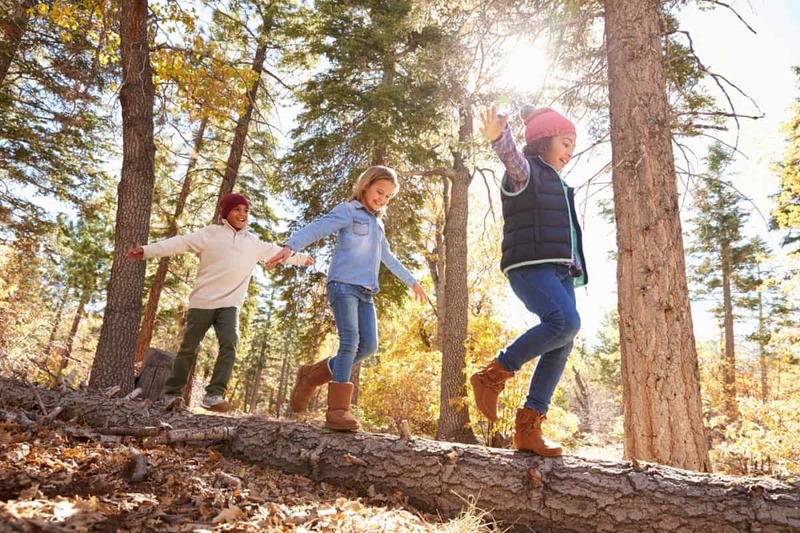 Do you know which are the best hiking games for kids? Here at The Adventure Junkies, we know how much it matters to instill a love of hiking in your children. 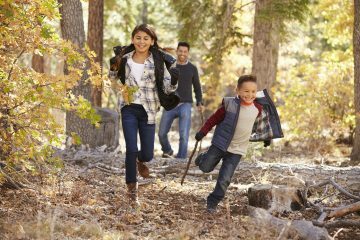 We’ve dug deep into our own experiences and that of other hikers around the world to put together this list of seven hiking games for kids. Some of them are goofy, others are educational and together they will take your hiking experience to the next level! There is so much to see when you’re hiking. 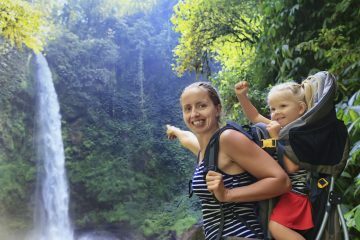 You may have seen it all before, but this could be the first time your kids have ever gone hiking and had the chance to see a stick insect, a tree hollow or perhaps a porcupine. Harness that natural curiosity in a scavenger hunt! 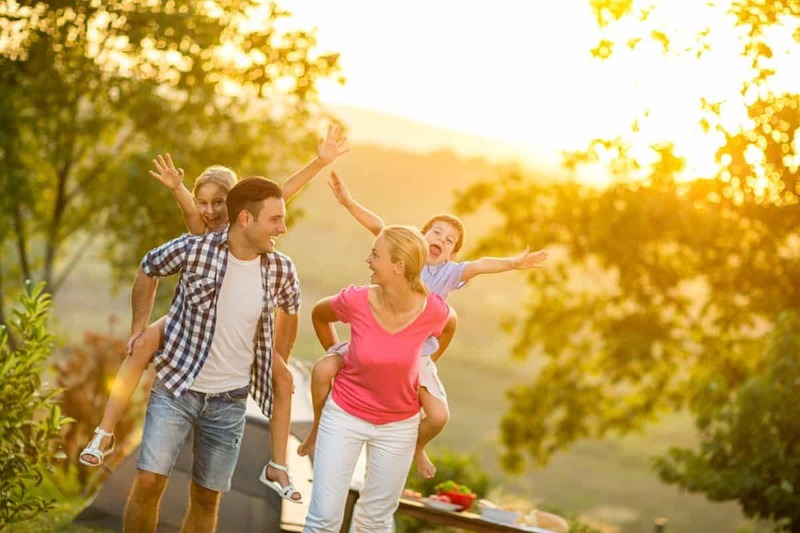 Not only are they a LOT of fun, but they are also a great way of teaching your kids about the world around them, sowing the seeds for a long-term love of the outdoors. 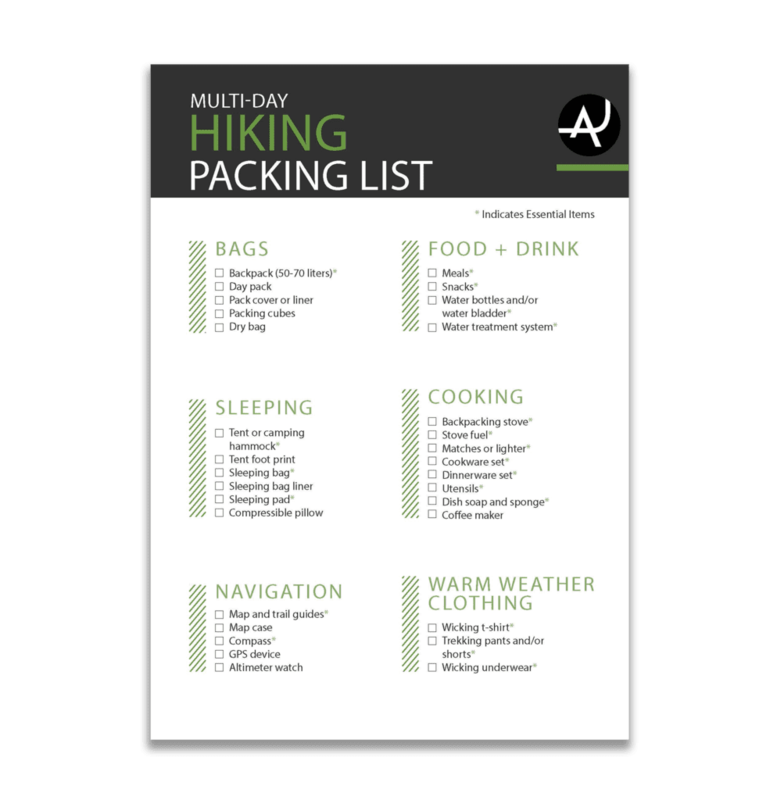 On your computer, create and print out a simple list of things to spot on the trail, and put a big box next to each item so they can be ticked off. For older kids who enjoy the extra competition, you can even assign points to each item, with items that are harder to find given a higher point score. It doesn’t have to be completely serious either. Laminate the sheets or put them in a plastic sleeve to protect them, and you’re good to go! For a more competitive variation, you could also play bingo where only one hiker can claim each item on the list. When an item is spotted, the hiker must call out “BINGO” and name the item that they’ve spotted. The first to spot five items is declared the winner. If you haven’t heard of it before, geocaching is like a modern-day treasure hunt where, rather than an “X,” GPS coordinates mark the spot. You don’t need a fancy GPS unit (even though it would provide greater accuracy), all you need is a cell phone. 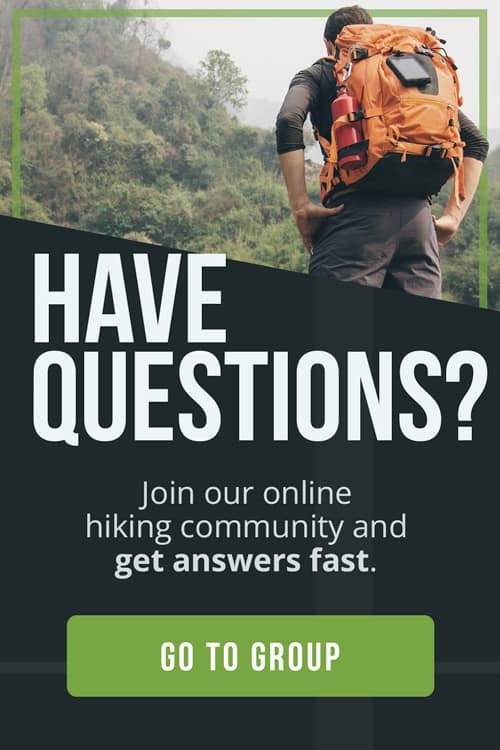 Before you leave for your hike, jump onto the geocaching website and create yourself an account. Don’t worry, it’s totally free! Then, do a search by postal code for any geocaches located near your hiking trail and save the GPS coordinates to your cell phone. While you’re hiking, keep an eye on your position relative to the geocache. As you get closer, enlist the help of all the children to find the prize wherever it’s been hidden away! Just remember, if you decide to take an item from the geocache, always leave an item of equal or greater value for the next treasure hunter. Who doesn’t love a silly walk? The only objective of this game is to have as much fun and look as crazy as possible! It could be a gorilla, a kangaroo or a disco dancer. The sillier, the better! The kids will definitely love showing off their best moves! Singing songs has historically been a way for many hikers to pass the time. You don’t have to have the best singing voice, all you need is the words and a great sense of humor. Only you can know which songs will get the best reaction, but some old favorites include “Puff the Magic Dragon,” “The Wheels on the Bus” or for a guaranteed winner, just pick the theme song from the latest Disney movie! This is another great observational game that will get the kids examining their surroundings as they walk, while simultaneously distracting them from fatigue and boredom. Starting with the letter “A,” ask the kids to spot something near the trail beginning with that letter. When everyone has found at least one item, move on to “B” and so on. As we all know, it’s starts out easy but you’ll need to get inventive for some of the letters of the alphabet! 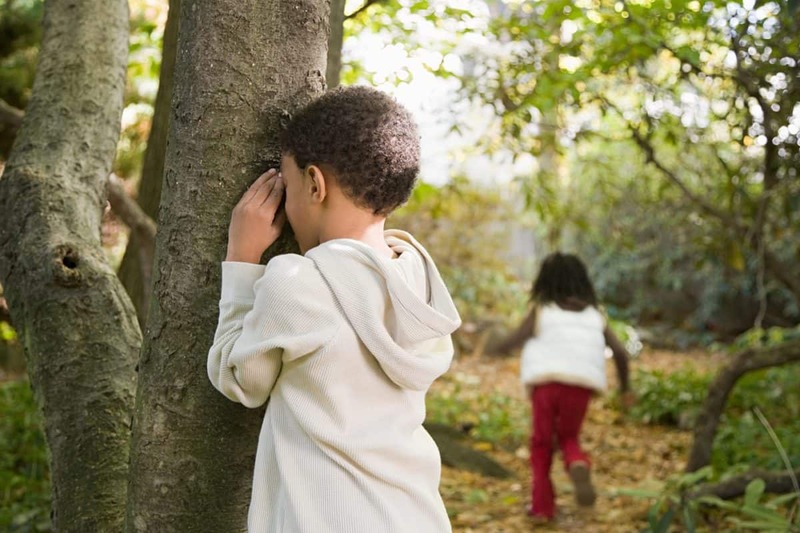 A mobile game of “Hide and Seek” will really get your kids immersed in their surroundings, and because of that, we only recommend doing it with older children and when you know you are in a safe environment. While hiking, take it in turns for each child to hide themselves somewhere near the trail; not so close that they’ll be spotted straight away but not too far that they place themselves in any danger. Make sure you give them enough time to pick a great spot by either slowing down or stopping for 30 seconds while they scamper ahead. Whether it’s behind trees, crouching in long grass or under a bush, the rest of the hiking group will be doing their very best to spot them without leaving the trail! This game is one that needs a little bit of preparation but is a great way of injecting some fun into your lunch break while also teaching your children about communication and teamwork. The first thing you need to do is to choose the lunch you are going to have on the trail. For the game to work, the lunch needs to be something that requires a few steps to prepare and ideally will use at least one or two implements. A great example could be peanut butter and jelly sandwiches. We’ll use this to show you how the game works. Before you leave the house, break the lunch down into individual components and assign each component to one child. So one child gets the bread, one gets the peanut butter, one gets the jelly and another (who you can trust!) gets the knife or perhaps a spoon. Ask each child to pack the lunch item into their backpack and to carry it to the lunch location. Upon arrival, the game is for the children to work together to prepare the lunch for everyone to eat. It would be, except the twist is that they aren’t allowed to talk to each other while doing it! It’s a fun way of challenging the children to be creative in not only communicating with each other and establishing a factory line but responsibility for making lunch for everyone at the same time. For an added twist, when assigning items, speak to each child alone and swear them to secrecy. That way, none will know exactly what lunch is going to look like or what they are going to be asked to do. Lunch will then loom as a huge mystery, and each child will be wondering what role they will be asked to play! Whether it’s Japan, Scotland or his home state of Tasmania, Australia, hiking is Andrew’s way of exploring the world! He has been blogging his exploits since 2012 and digital photography has been a passion for nearly ten years. 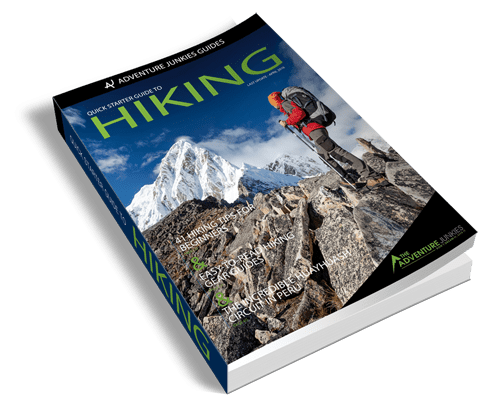 Through engaging stories and immersive images, he has both the experience and knowledge to help his readers discover the joy of hiking, while having great fun at the same time!